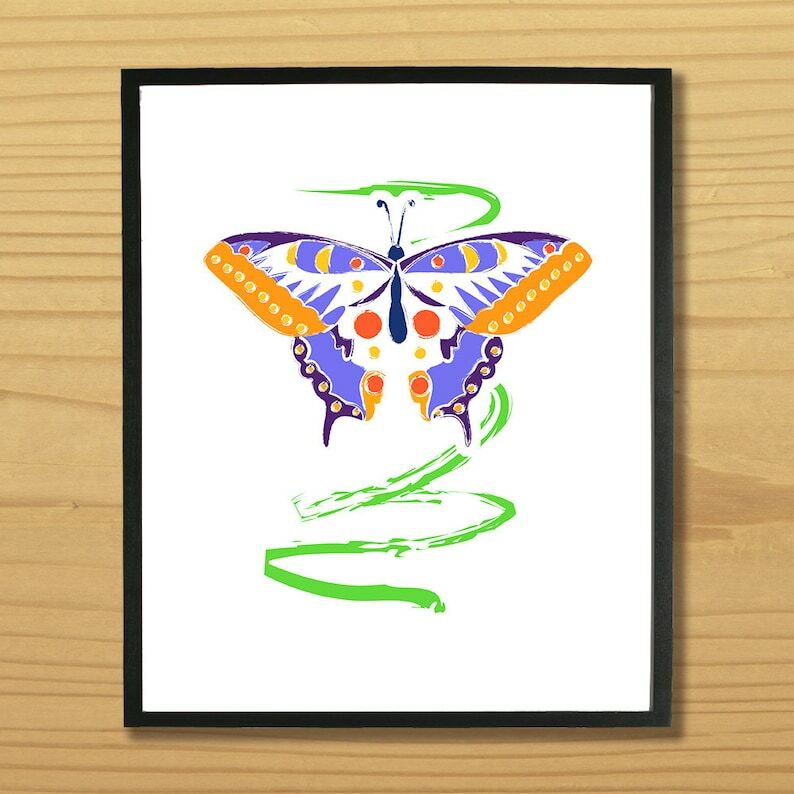 Adorable Butterfly Watercolor Look Digital Print.Perfect for a child's room, kitchen or casual space. Personal Use Only. Please note this butterfly print is a digital product only, no physical product will be shipped. Frame and background not included.